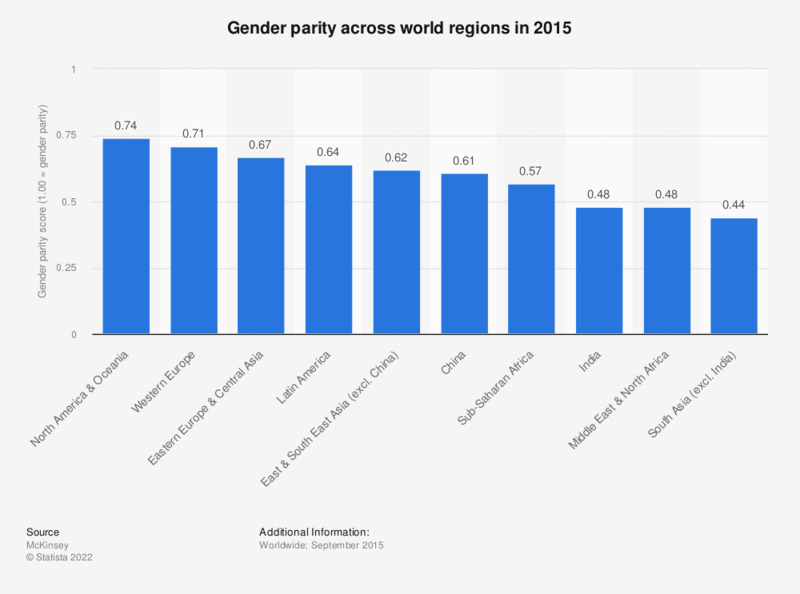 This statistic shows the aggregate gender parity score across various world regions in 2015. Gender parity was highest in North America & Oceania which scored 0.71. The lowest score was 0.44 in South Asia (excluding India). Scores are based on the gender parity index created by the McKinsey Global Institute. On the index, a score of 1.00 represents gender parity.